← Heels, Heels and more Heels! 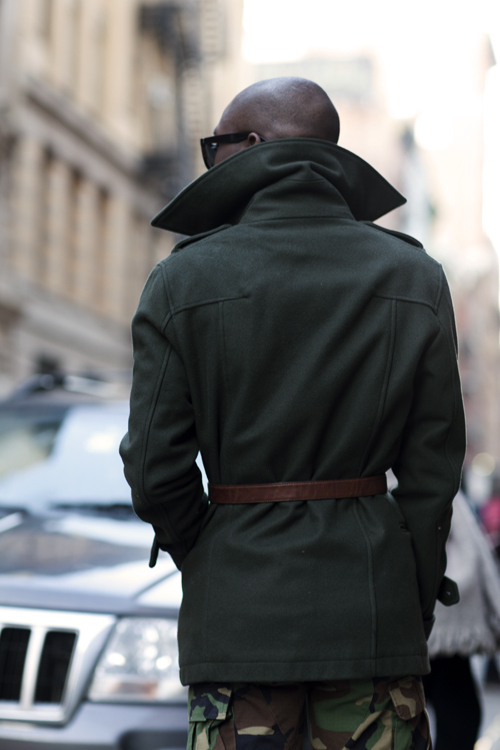 Great combo of color with the forest green jacket, brown leather belt and camo pants. This entry was posted in FASHION, LIFE and tagged mercer st, photography, street style, the sartorialist. Bookmark the permalink.